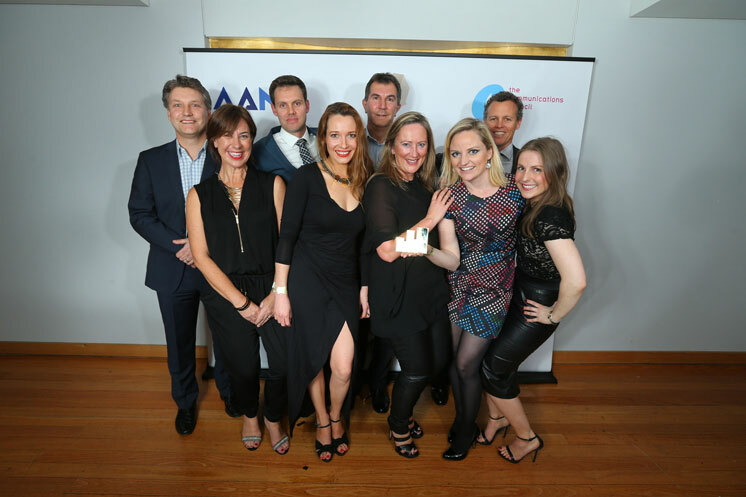 September 4, 2014—AJF Partnership was awarded the 2014 Grand Effie award for the Australian National Preventive Health Agency (ANPHA) at this year’s Australian Effie Awards run by The Communications Council. Finding a new way to help people quit smoking, the campaign dramatizes the long-term suffering that a smoker and their family endure due to a smoking-related illness, compared with the short-term pain of quitting. Approximately 180,000 smokers made a quit attempt as a direct result of seeing the National Tobacco Campaign. Continuing its success, AJF Partnership was also presented Effective Agency of the Year after claiming an additional Gold for the ANPHA campaign, a silver for Officeworks and two bronze awards for iSelect and Lion. Seven Gold Effies were presented in total, with three awarded to Clemenger BBDO Melbourne for BONDS, and the final three were given to 303Lowe for Challenger, Host for The Coca-Cola Company, and Whybin\TBWA\DAN Sydney for RaboDirect. The ceremony, held at the City Recital Hall in Sydney, also delivered 14 silver and 17 bronze trophies, awarding a total of 18 agencies and 23 clients. All case studies will be online at www.effies.com.au from tomorrow. The Communications Council would like to thank its sponsors and supporters for their generous support, including: Millward Brown, Healthcare Communications Council, The Digital Edge, Trapdoor Productions, B&T, and UN LTD.